Recently I watched an exceptional Hallmark Hall of Fame Movie called The Courageous Heart of Irena Sendler and I was impressed. This movie is about a young woman who worked tirelssly during World War II to save, in the end, 2,500 Jewish children from the Warsaw Ghetto in Poland. 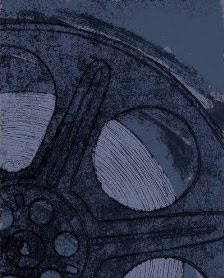 The movie was well done, taking into account that it is a made-for-television movie, which really only means that it is not a big budget movie and that it might perhaps be a little easier to watch than something made for the big screen. The story was good enough to make me want to read the book, which was released in 2005. The real Irena Sendler, was nominated for a Nobel Prize in 2007 and, unfortunately, passed away in 2008 before the movie was released in 2009. If you are interested in learning something about a largely unsung female hero or heroine, you should check out The Courageous Heart of Irena Sendler. It is not available on blu-ray but it is readily available on DVD. 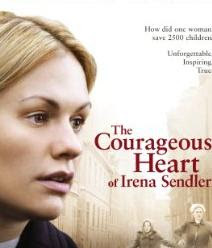 The Courageous Heart of Irena Sendler movie review. Buy your copy of The Courageous Heart of Irena Sendler from Amazon. When Is Jane Eyre 2011 Being Released?